Buy now, pay later with interest free* finance on appliances. 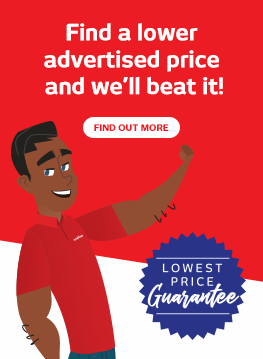 With Retravision’s range of interest free finance options, you can shop interest free on everything from cameras to cookers, tablets to washing machines. And with our fast online application system, and easy in-store application process, you can be shopping interest free the very same day. Plus, approved applicants can checkout straightaway with finance on any online purchases over $1,000. Simply apply online to choose from 3, 6, 12, 24, 36 or 50 months interest free* and you’ll find out in just a few minutes if your application has been approved. Once approved, you could be enjoying that new laptop, TV, or bluetooth speaker on interest free finance that very same day. Apply online now or in-store and start enjoying Retravision’s interest free finance sooner. Interest free reverts to the variable cash advance rate. Offer valid until 30/06/19. Current Annual Fee $79. Minimum purchase amount from $500^. * Interest free finance is applied only to promotional transactions for the specified period. Balances outstanding at the end of the promotional period will form part of the normal account balances and will revert to the cash advance rate current at the time. See in-store for details. Monthly repayments are required and calculated at 3% of the outstanding balance or $20, whichever is higher. Current Annual Fee $79. Lending criteria, terms and conditions, fees, and charges apply and are available on application. ^ Minimum purchase $500 for 3, 6, 12 & 24 months interest free. Minimum purchase $1000 or more for 36 months interest free and minimum purchase $1500 or more for 50 months interest free. Offer valid until 30/06/19. Credit provided by HSBC Bank Australia Limited ABN 48 006 434 162. Australian Credit Licence 232595. Interest Free not applicable to Apple and agency brands Asko, AEG, Falcon, Gaggenau, Liebherr, Miele and Neff.